Personal Injury Lawyer Tulsa: When Do You Need A Product Liability Attorney? Injuries caused by everyday items — at no fault of the consumer — aren’t as uncommon as you might think. According to studies by the U.S Consumer Product Safety Commission, there were more than 36 million U.S. residents that sought medical treatment for consumer product-related injuries. So, when exactly do you need a product liability attorney? If you or someone you know has been injured by an improperly manufactured product, you might be eligible for legal compensation. At The Edwards Law Firm in Tulsa, Okla., our personal injury lawyers have experience practicing product liability law. They can help you determine if you have a viable claim and, if so, provide you with outstanding legal representation. Contact us today. In this blog post, we’ll explain the basics of product liability and situations when you’d benefit from the services of a product liability attorney. 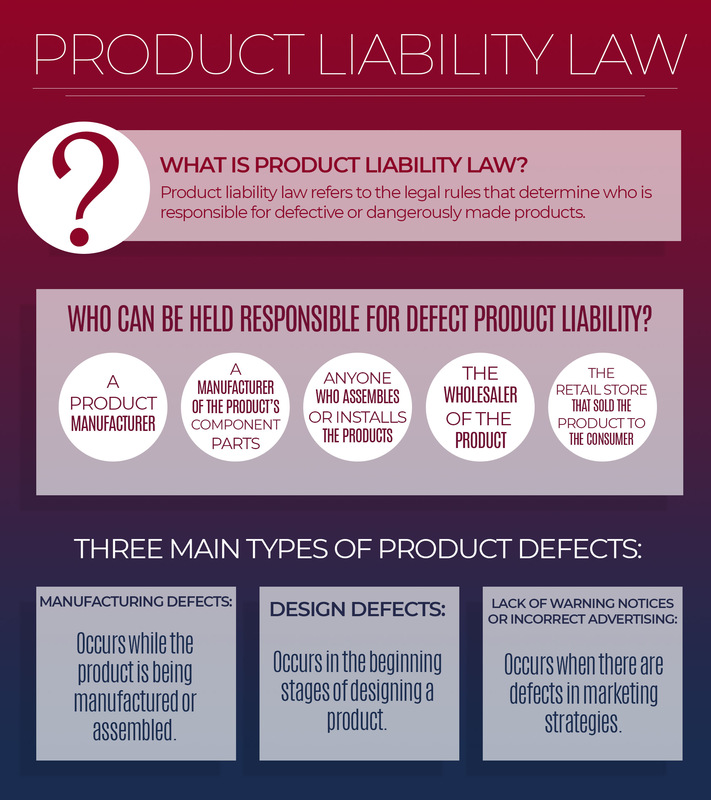 Product liability law refers to the legal rules that determine who is responsible for defective or dangerously made products, and it is a more specific type of law than injury law in itself. If you are seeking a product liability claim, it is likely because a manufacturer or seller is liable for selling you, a consumer, a product that is defective. In general, the law states that any product you purchase from a manufacturer or seller should meet your basic expectations of what the product was intended to do. If it doesn’t, and it results in being unsafe to use, you could potentially file a product liability lawsuit. Manufacturing defects. This defect typically occurs while the product is being manufactured or assembled. Design defects. This defect typically occurs in the beginning stages of designing a product. Essentially, the product is unsafe to use before it’s even manufactured. Lack of warning notices or incorrect advertising. This defect typically occurs when there are defects in marketing strategies, such as false labeling, poor instructions or improper safety warnings. What is a product liability attorney? The role of a product liability attorney is to help a client seek compensation for damages from a dangerous or defective product. They help determine which of the three types of product defects the client experienced, and from there, they argue that a person or entity from the product’s process of distribution was negligent. The main evidence a product liability attorney must prove is that the product was indeed defective, the victim sustained injuries by using the product, and that the injuries were caused by the defective product. 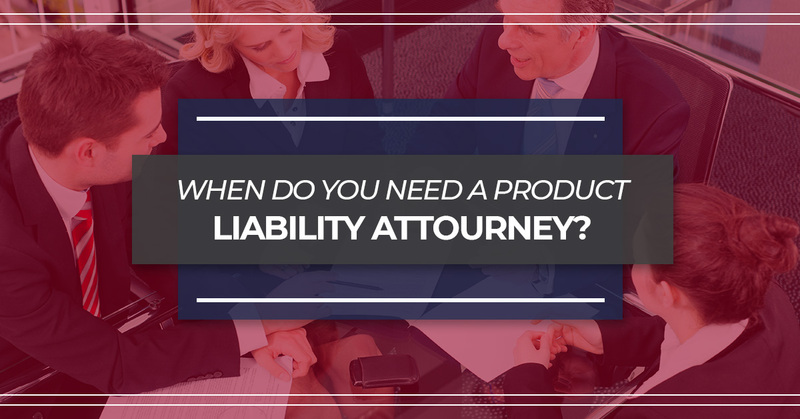 How do you know if you need a product liability attorney? If you or someone you know purchased a product you believed wasn’t intended to be dangerous or defective, and by using that product you resulted with some sort of injury, a product liability attorney could benefit your situation. When someone is injured unexpectedly by a defective product, it can affect their life financially, physically and emotionally. To us, that simply isn’t fair. We know it’s intimidating to fight against big-name entities, individuals and manufacturers, but if you file a claim with a product liability attorney, you’ll ensure the same unfortunate situation doesn’t happen to somebody else in the future. At The Edwards Law Firm in Oklahoma, our team of personal injury lawyers is dedicated to fighting for the rights of those who are injured from a product at no fault of their own. We believe no one should have to suffer from something that was beyond their control, which is why we’ve won millions in compensation for our past clients. If you are in need of a knowledgeable and trustworthy product liability attorney, contact us today for a free case evaluation. We don’t get paid until you get compensated. For more information or to schedule a free case evaluation, you can call us at (918) 221-0516 or at our toll-free number at (888) 600-9836 during business hours. You can also fill out our online form at your earliest convenience.